"Play Together, Stay Together" , these are the words you would find if you visited the webpage, "Happiness in Family Life: Activities" . 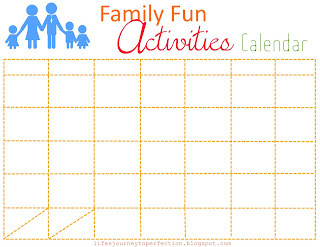 So for tonight's family home evening is going to focus on what kind of activities we would like to fit in this summer. With summer winding down, it seems to be crunch time. I plan on doing this for each season with my family. I've noticed as we spend time out and about together, our relationships are strengthened and memories are developed. 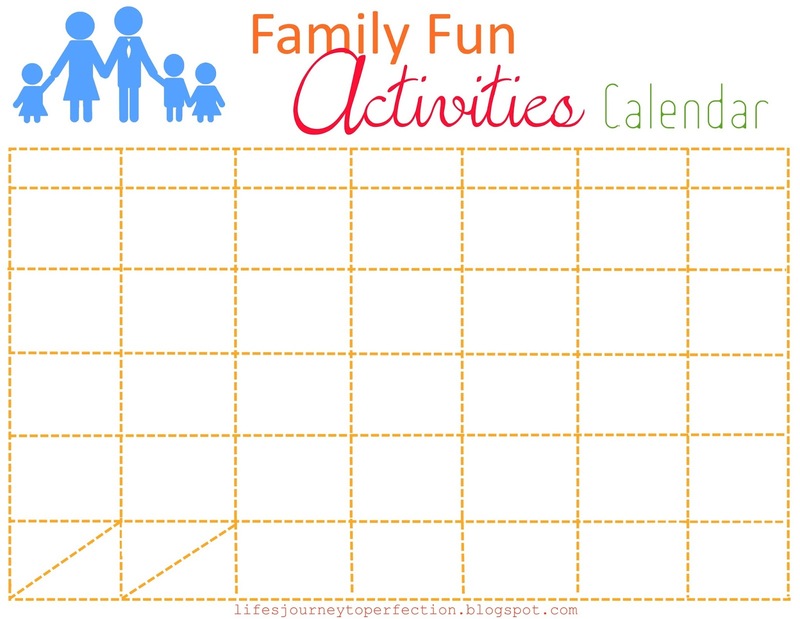 The plan is to gather together and ask each family member what are the things they would like to do this summer. Then make a plan on the calendar of when to do them. 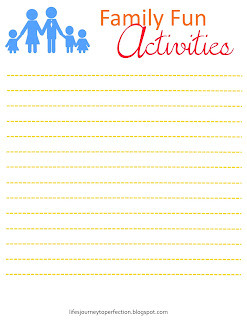 Above I have provided a couple printables that could be used. It would also be a good time to reflect on the things you have already done this summer as a family. What were some of the favorite activities.